How to wear an afro print full midi skirt? It may seem hard to style an ethnic print piece of clothing, instead I think it's an easy match. You can wear it both with a light t-shirt or with a cotton sweater just like I did, in the last fresh days of this Spring start. Mine is orange with a purple print, a color that is really trendy right now. I have always liked full midi skirts and my love for them never stopped. A ruffle top, velvet booties from Le Silla and my Chanel 2.55 created this fun daytime outfit for this transitional time. Come indossare una midi skirt a ruota con stampa afro? Un capo a stampa etnica embrerebbe difficile da abbinare, invece io credo sia un capo facile. Potete indossarla sia con una leggera t-shirt che con un maglioncino in cotone come ho fatto io negli ultimi giorni più freschi di questo inizio Primavera. La mia è arancio con stampa viola, colore davvero trendy al momento. Ho sempre amato le gonne a ruota midi e questo amore non si è mai fermato. Un top con rouches, stivaletti in velluto Le Silla e la mia Chanel 2.55 ed ecco un outfit da giorno divertente per questo periodo di transizione. Wearing a waistline belt can be nice on such a full skirt, for a more defined waistline. I have a very tiny waistline and therefore since it's one of my best features, I try to put that in evidence. Another thing I like in such skirts is that you can wear them in different seasons. I love to experiment with clothes and in spite of being a fashionista and loving new trends, I am also adventurous when it comes to creating my looks. I have so many clothes so why should I only stick to the ones from this season? This skirt is from this Winter, from Wesosho, anyway generally I wouldn't want to look like if I copied straight from a shop window. I create my own style and this is what I like the most about fashion: the ability to showcase our personality, not just the money we got in buying things from a shop. What do you think about this? Should bloggers only wear the latest purchases or should they suggest new ideas on how to wear your clothes? Indossare una cintura alta può essere un'ottima idea su una gonna così ricca, per un punto vita maggiormente definito. Ho un punto vita molto stretto e pertanto, siccome è una delle mie caratteristiche migliori, lo metto in evidenza. Un'altra cosa che mi piace di questo tipo di gonne è la possibilità di indossarle in più stagioni. Adoro sperimentare con l'abbigliamento e, nonostante sia una fashionista e adori le nuove mode, mi piace anche essere avventurosa nel creare i miei look. Ho tantissimi capi quindi perché mai dovrei limitarmi a quelli di questa stagione? Questa gonna è di questo inverno, presa da Wesosho, ma in generale non vorrei sembrare una copia spiccicata della vetrina di un negozio. Mi piace creare il mio stile e questo è ciò che amo maggiormente della moda: la capacità di mostrare la nostra personalità, non solo la possibilità economica di comprare cose. Cosa ne pensate? 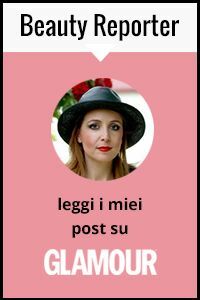 Le blogger dovrebbero indossare solo gli ultimi acquisti o dovrebbero suggerire nuove idee su come indossare i vostri abiti? I would have only thought of styling it with black, the grey and the ruffles look great though. And the belt really adds a special something. what an interesting print! I agree, this could be worn in summer and winter! Eccola la gonna che avevo visto su IG! Davvero molto bella, la stampa è originalissima! Inutile dirti che la tua gonna è favolosa!! È davvero bella anche come colori ! Dear Vale, you really know how to wear a midi skirt and your midi skirt is such a wonderful eyecatcher! Personally, I love midi skirts a lot although my husband is not always a huge fan of them ;) Have a wonderful and happy new week, my dear friend! That skirt is amazing, Vale!! You've really made it the star of the show---which is should be!! I love your top and boots. Perfect for this fun skirt! The look is so cute. I love the skirt. Bellissima Vale e look strepitoso non c'è altro da aggiungere. Stunning skirt! I love the bold print! You have styled it to perfection for Spring - I actually prefer your look to how it's styled on the website. Fabulous! Molto Stella Jean questa gonna, stupenda e abbinata benissimo! Oh yes that skirt could work in fall, spring or winter, maybe too hot for summer. Love how you styled it with gray ruffle top, the ruffles are so fun. And the bag is gorgeous!! This is pretty bold skirt. super cute spring look! loving that skirt! wowww this pattern is not easy to do a look. but yours is perfect. I loved it!!! bellissima questa gonna, a me piace molto questa stampa. Stupenda anche la blusa. Sei sempre tres chic. Hai creato un outfit perfetto!!! !